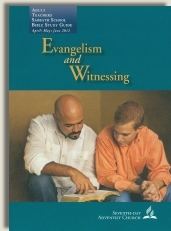 In today’s lesson, the author summarizes the main points of the week—reiterating how witnessing and evangelism are everyone’s responsibility. Also, Adventist members should be trained and developed for the task of making disciples. We are to be channels through which the Lord can send light and grace to the world. Backsliders are to be reclaimed. We are to put away our sins, by confession and repentance humbling our proud hearts before God. Floods of spiritual power are to be poured forth upon those prepared to receive it. —Ellen G. White, Testimonies for the Church, vol. 8, p. 46. What is needed, and why, to help bring people back into this church and the wonderful 'present truth’ message that, in fact, no one else is preaching to the world? Some backsliders do not wish to be reclaimed. Some former Adventists do not want to be brought back. I know that it is a very difficult experience for Adventists when their beloved friends and family members leave the denomination; and with eyes wide open, decide not to keep the Sabbath anymore. Many of my former Adventist friends—myself included—feel as much empathy and grief for our Adventist friends/family as we know they feel for us. However, the solution is not for Adventists to try to persistently coax those folks back to church, and certainly not with use of tactics such as guilt, telling them they’re not saved, etc. A better solution for is for them to take their fear, anger, and grief to a Christian counselor with the end goal of forgiveness and healing. Doctrinal differences aside, no good can come from acting out of a place of immense and desperate fear for a loved one’s salvation. God is ultimately in change of who comes to Him and when (John 1:13; John 6:44), and all His plans are perfect. We are not in control of who is born again; this is God’s work alone. 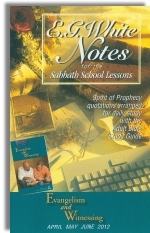 [See this fantastic article by my friend Delina McPhaull (bio here) on the wonder of the new birth: http://www.lifeassuranceministries.org/proclamation/2011/3/spiritualc-secti.html]. These facts should serve as great comfort for anyone who perceives that their loved one’s theology is off-base. God is the ultimate Keeper of His Truth, and His Truth will win out in the end. This is truly good news!